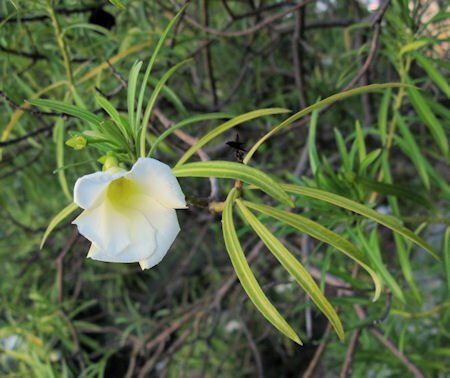 ﻿ Thevetia peruviana (Yellow Oleander) : MaltaWildPlants.com - the online Flora of the Maltese Islands. Apocynaceae The Dogbane Family 4 Apocynaceae species recorded from Malta. A cultivated ornamental tree with a rather low invasiveness in the wild. Can be found in a variety of flower colors but white and yellow is the most common.